Planon is a leading global real estate and facility management software company that provides integrated workplace management solutions (IWMS) to companies around the world. Planon's depth of experience in delivering real estate and facility management software solutions helps organisations with all aspects of a project's lifecycle. Planon solutions are developed based on both market experience and demands and are further configured in line with individual customer requirements on a project by project basis. Our solutions focus on centralising and automating company-wide real estate and facility management operations for customers, significantly reducing expenditure and adding tangible value to real estate portfolios. Planon's Green Workplace Economics — comprising four solutions that help real estate and facility managers cut costs while ensuring sustainability — is a new, environmentally-focused addition to Planon's offering. Founded in the Netherlands in 1984, Planon has worked to achieve a single overriding mission: to solve customers' business challenges with world-class software applications and expert business advice. With a network of offices in Europe and the US, Planon has established itself as a key worldwide provider of FM and real estate software solutions for a spectrum of industry sectors including banking, education, manufacturing, IT and the public sector. More than 1,300 organisations around the world use Planon's software solutions and business services. The solutions offered by Planon are suitable for anyone, from major service providers through to SMEs and everything in between. Planon provides tailored software solutions suited to any company's individual requirements, allowing customers to purchase as few or as many of the company's range of management solutions as they require. As the end user's company grows and objectives change, further solution elements can be purchased for a truly scalable solution. This flexibility permeates Planon's entire organisation — it is our objective to craft solutions to fit the needs of our customers, who are looking to create a smart workplace that revolutionises the way that they manage corporate real estate. At a time when sustainability is under intense scrutiny and wastefulness and neglect can destroy corporate reputations, Planon's solutions offer real estate executives a tool by which to manage expenditure and align with organisational goals while ensuring the sustainability of their facilities. Planon helps customers in complying with legislation and allows them to put processes in place that drive innovation and achieve real results within their organisational environment. Planon is proud to announce that 2010 will see the release of a new and enhanced software suite, including our Green Intelligence module and a range of mobile solutions. The new Green Intelligence module allows facility and corporate real estate executives to monitor and act upon energy measurements with pinpoint accuracy. Our range of mobile solutions includes both online and synchronised solutions based on a variety of mobile computing devices, and is designed to enable remote working for employees across the broad range of IWMS disciplines. The Green Workplace Economics logo. 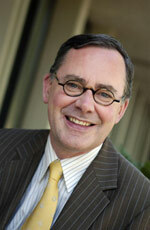 Pierre Guelen, CEO of Planon. 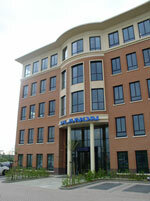 Planon's HQ in Nijmegen, the Netherlands.